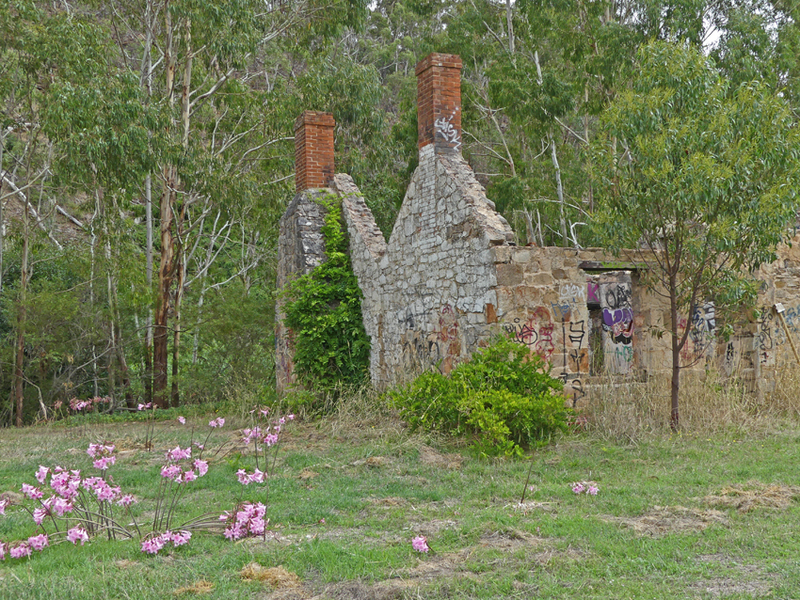 The old cottage has stood sentinel by the Scott Creek Road from the late 1830s. Despite some graffiti, scourge of a modern era, it bears witness to bygone days of hardship and toil. 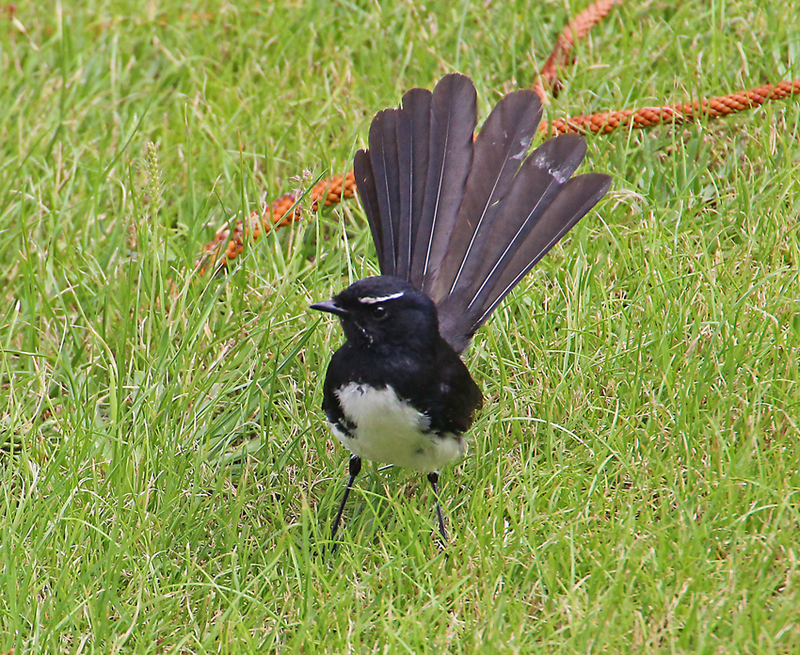 Today a pair of magpies is foraging amongst the overgrown garden and swallows are nesting in the stonework. 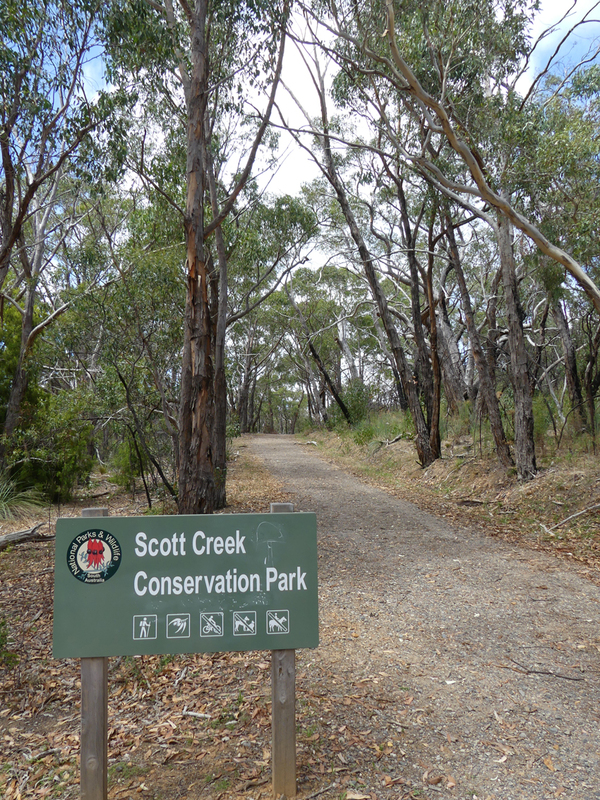 The Scott Creek Conservation Park is just 30 kms from Adelaide: a lovely drive along winding hills roads surrounded by scrub and rural properties. It is a haven for a vast number of animals including grey kangaroos, koalas, numerous reptiles and around 150 bird species and that is without considering the insects and spiders. More than enough to delight any photographer. 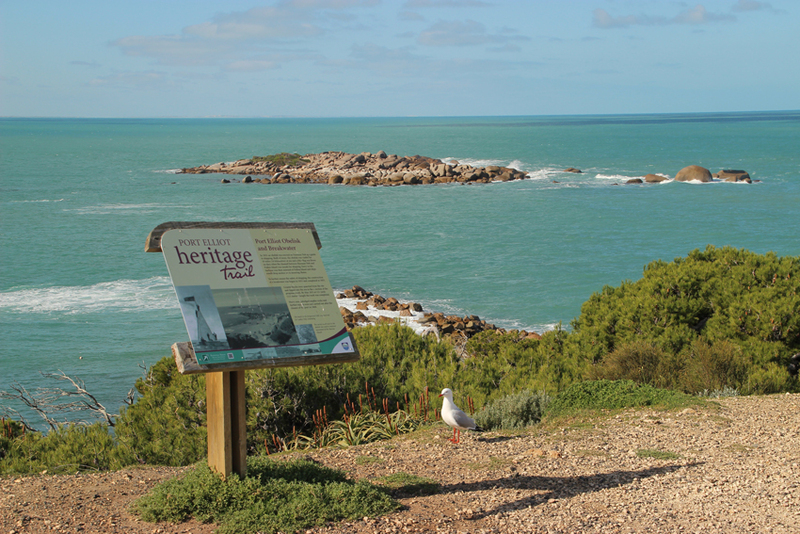 Add an old mine site to this biological diversity and you have the perfect place for a day’s outing exploring some classic South Aussie bushland with a little history thrown in. The creek passes under an old bridge. It is overgrown with reeds and bushes with just a trickle of water visible from the banks. 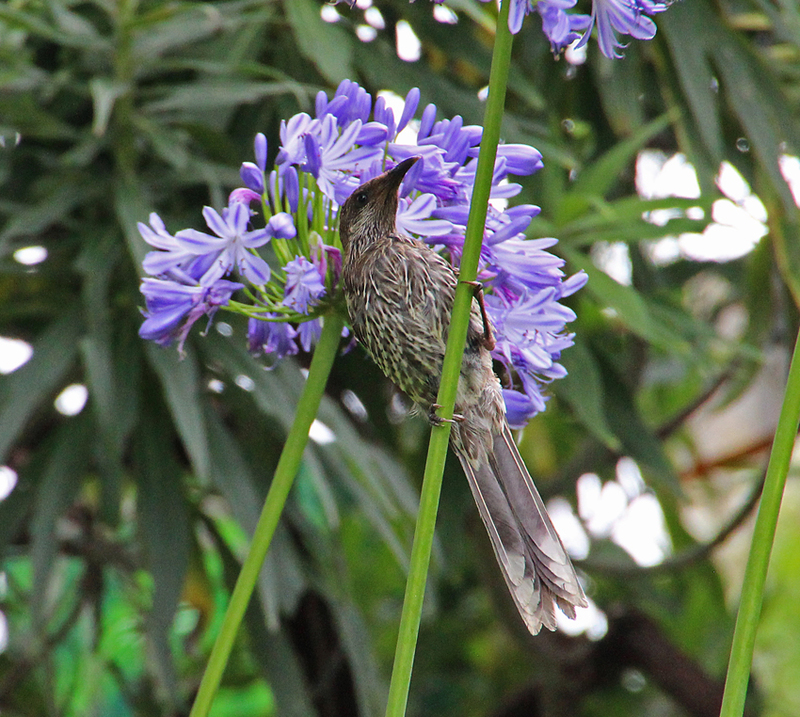 Superb blue wrens are darting around in the undergrowth, the males in bright mating plumage are displaying to the duller coloured females. I walk along a fallen tree that spans the creek to get a better vantage point. 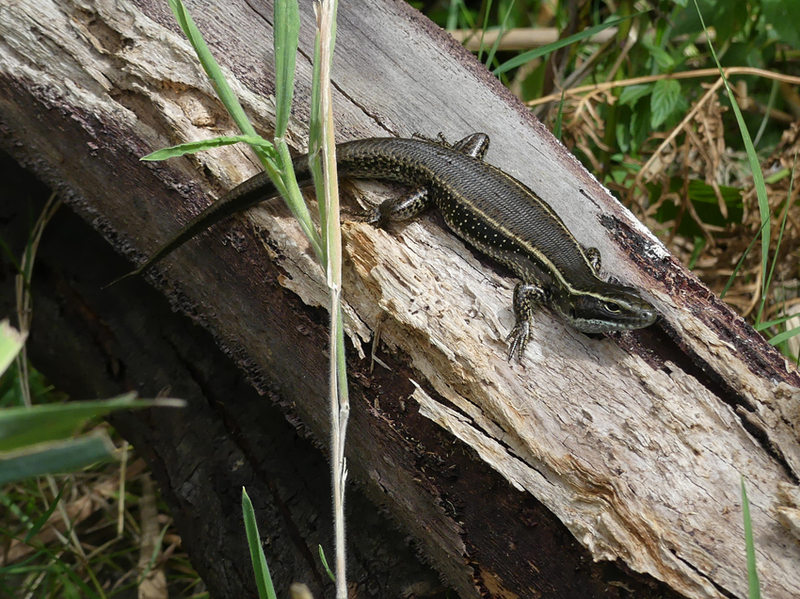 From my perch I spot an eastern water skink basking on a long dead branch. The little reptile is waiting to pounce on insects, spiders and even smaller lizards. A gravel and dirt path leads up to an old copper and silver mining site. 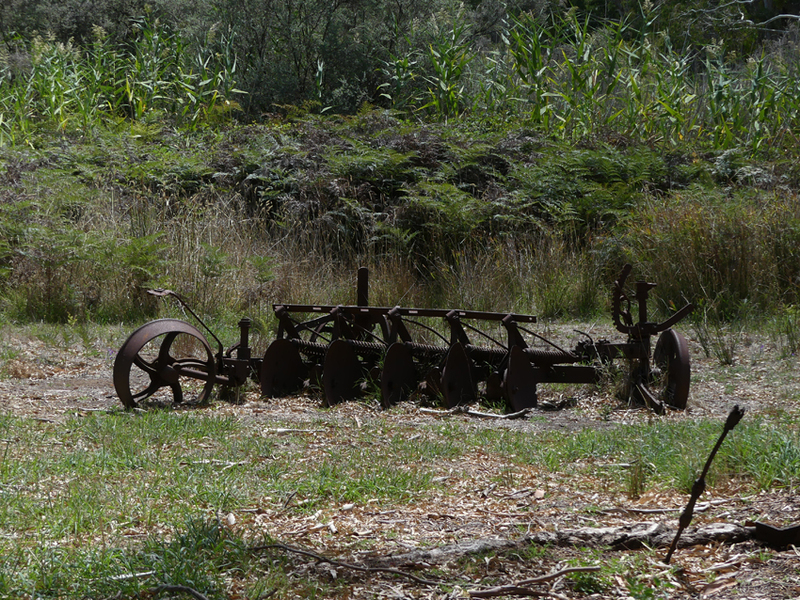 Interpretive signs make for interesting reading about our state’s early mining history and an old abandoned plough adds a certain agricultural touch to the walk. 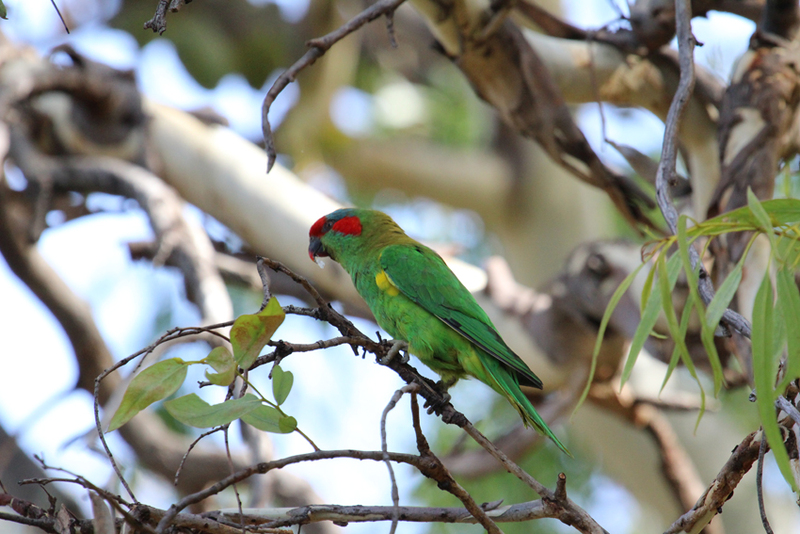 Numerous parrot species are common throughout the park and a pair of rainbow lorikeets watches me as I walk beneath the massive red gum they are using as a perch. High above I notice the unmistakable slow wing beat of yellow tailed black cockatoos. 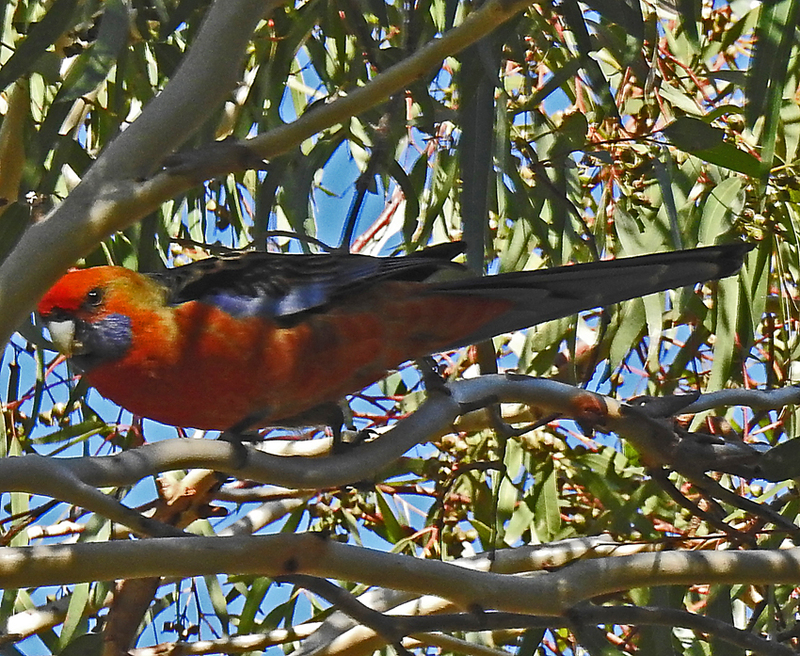 And the characteristic chiming call of Adelaide rosellas accompanies me while I stroll around the mine site looking for lizards and insects that might use the ruins as a home. Before climbing into the car for the drive home I take one last look into the higher branches of the trees surrounding the creek. 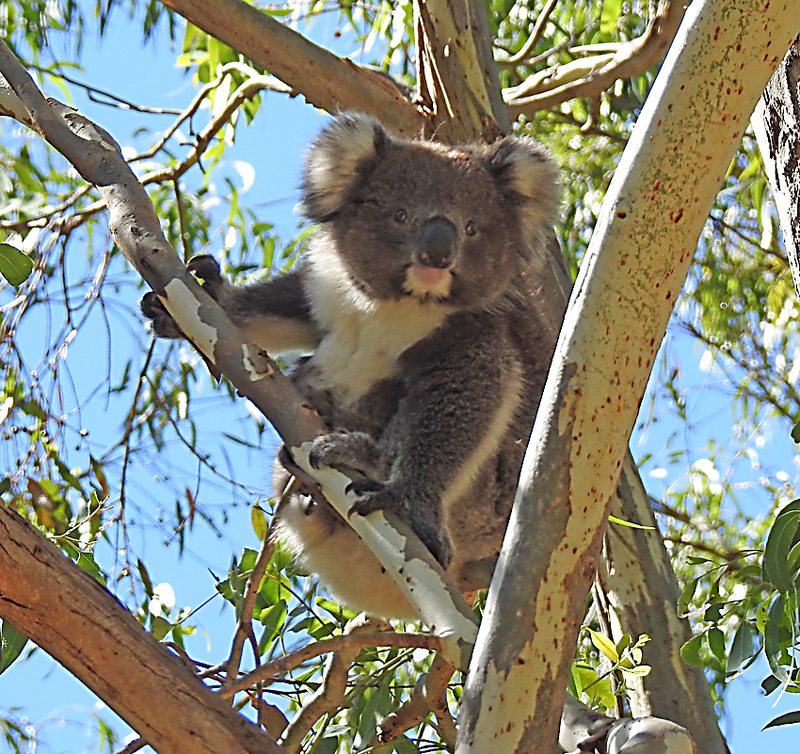 I am rewarded by solitary koala watching me intently from a fork in the trunk. 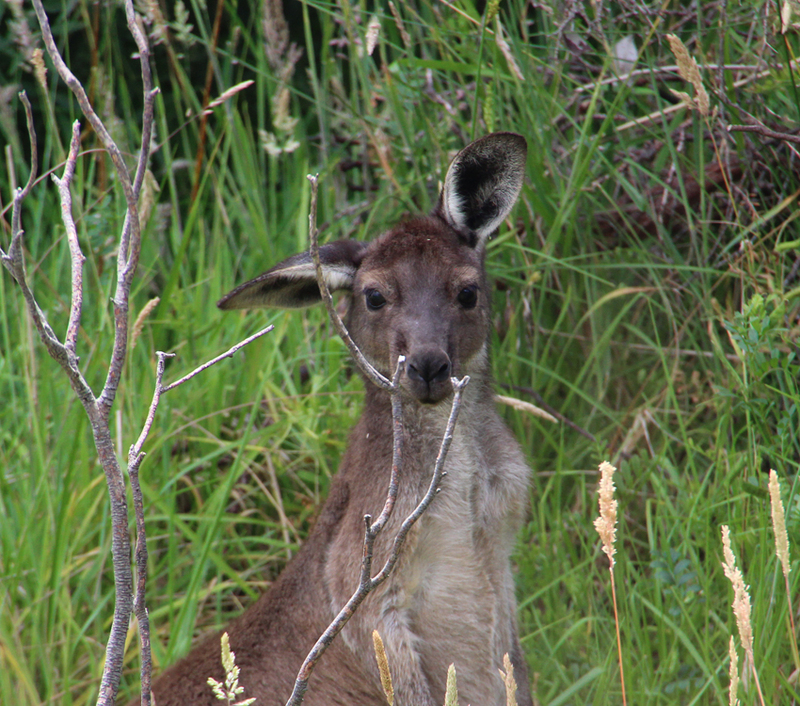 A nice farewell from this lovely patch of South Australian bushland. 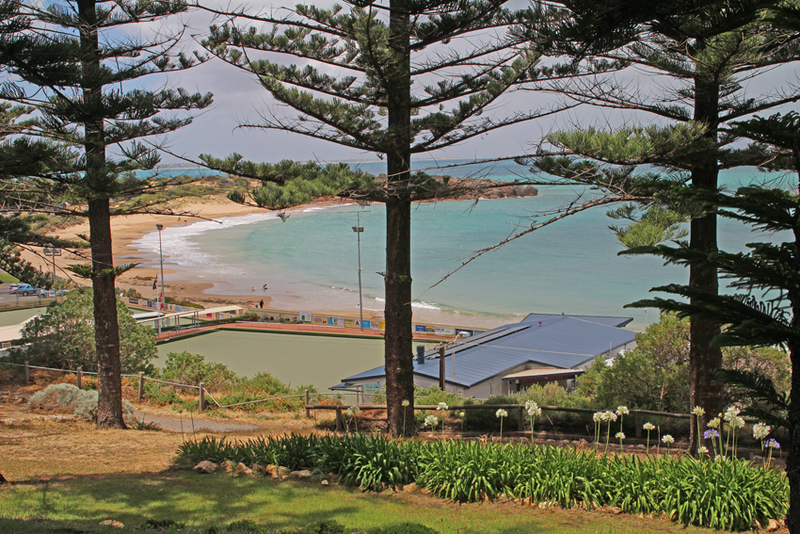 This is an easy drive which is quite suitable for families and seniors. 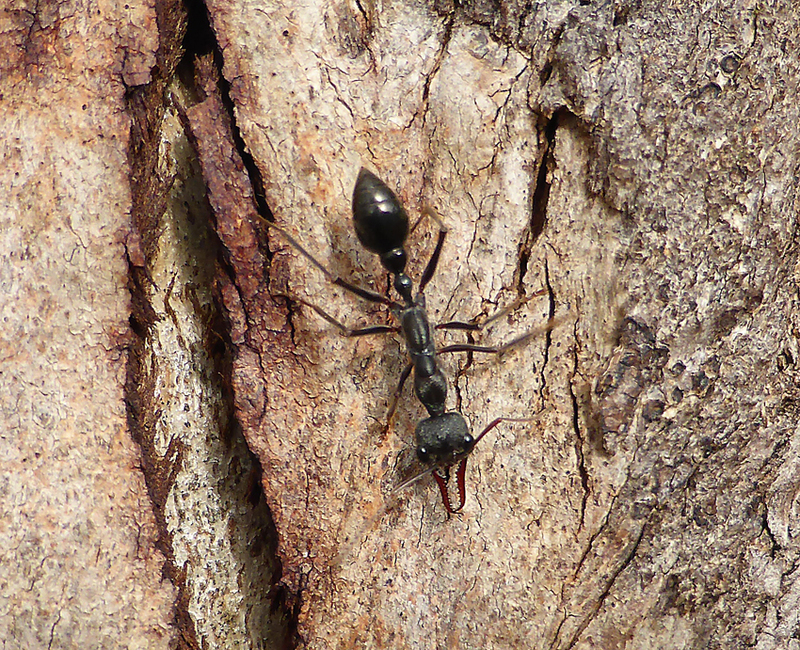 Yes, an ant is an ant, but in Australia some ants are just that little bit more! Inch ants or bulldog ants live up to their name and reputation. Solitary hunters that still live in communal nests they have a fearsome bite and relentless disposition. 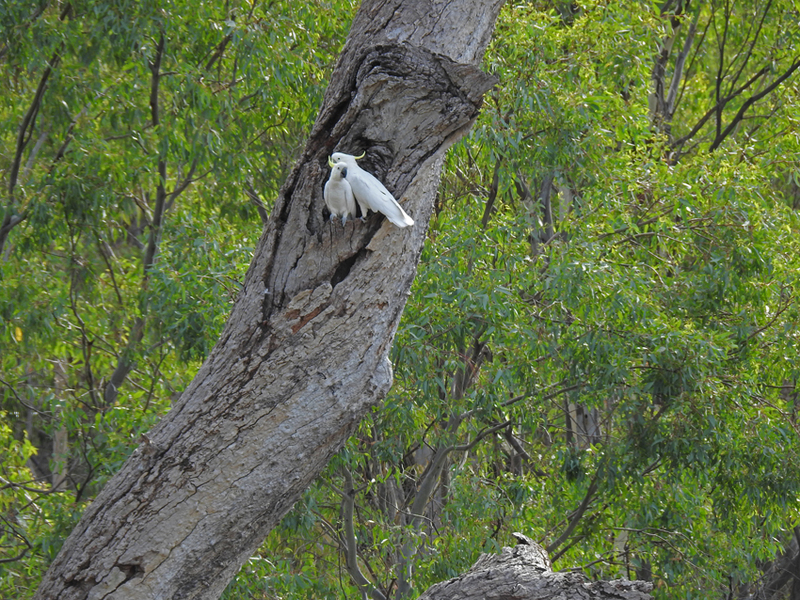 This one is hunting late on a cool autumn afternoon scouring a eucalypt trunk for prey. I watch carefully as it systematically probes under the bark for any hapless invertebrate that is sheltering or hibernating. Seeing a bulldog ant at this time of year seems strange, perhaps a late burst of warm weather woke the colony up. The vagaries of nature are always fascinating. I am exploring the section of Dry Creek which flows between the intersection of Grand Junction Road and Nelson Road through to Walkley’s Road. It can be accessed behind ‘The Junction’ shopping centre. The creek twist and turns along this part of its length and is bordered by walking and bike trails. There are some deep pools, a ford and a small footbridge which all facilitate wildlife viewing and photography. Throw in a nice bakery at the shopping area and you have the makings of a perfect walk. The little footbridge which spans the river is an ideal place to watch for wildlife. 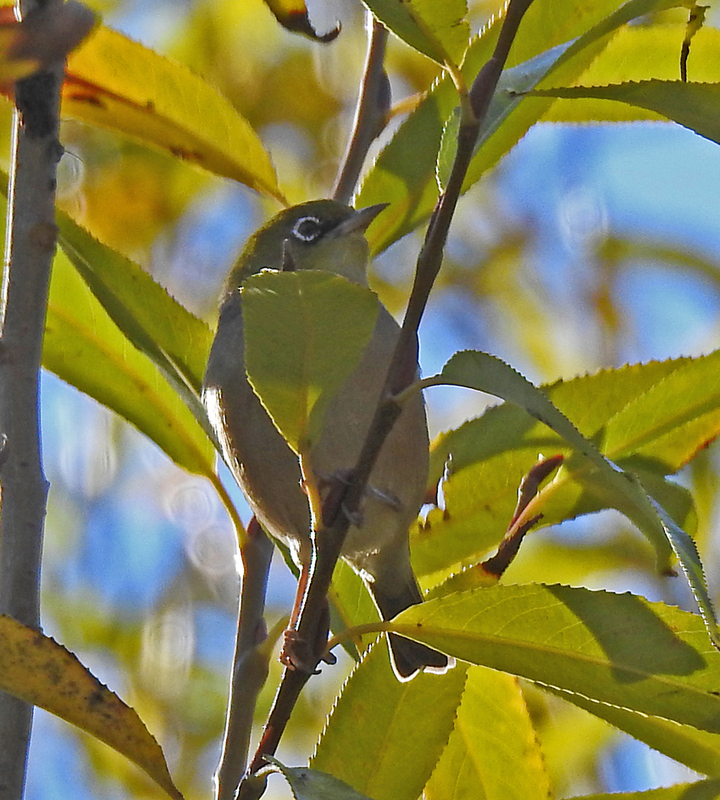 It is high on the banks and provides a good vantage point for peering into the treetops. Today it is the surface of the water that catches my attention. 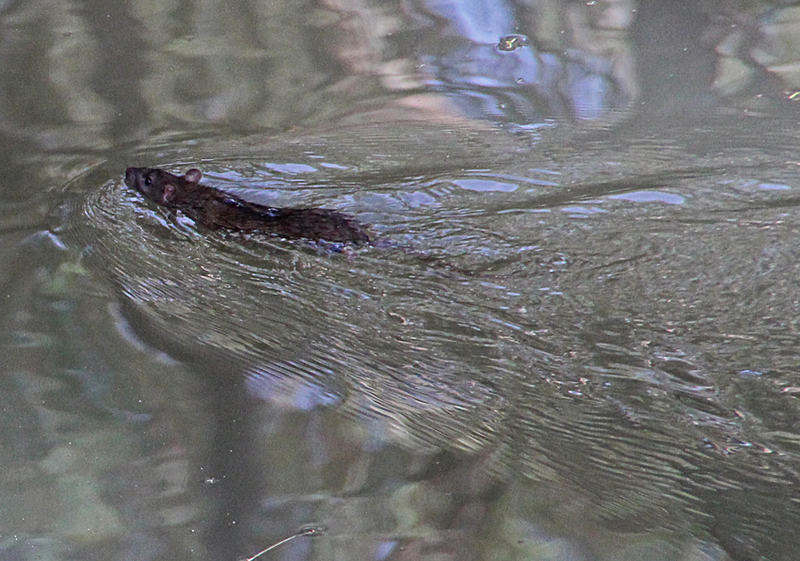 The tell-tale V shaped ripples of a water rat swimming across the creek are an unexpected bonus on my walk. I have rarely seen the elusive little rodents in Dry Creek and to know that they are present is quite a treat. Water rats or rakalis are a native species with a broad head, webbed feet and a white tip to the tail. 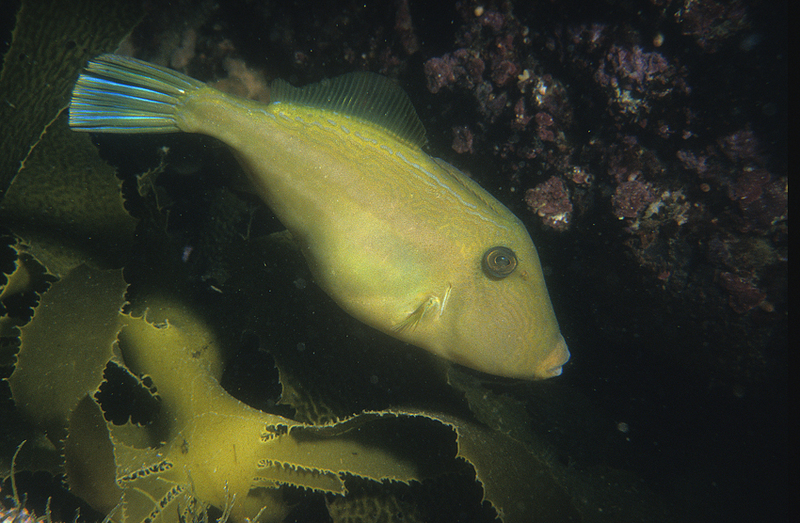 They feed on aquatic insects, yabbies, molluscs, frogs and small fish. Further along the path there is a break in the bushes and trees that envelop the sides of the creek and I can get good access to the water’s edge. A little pied cormorant is sitting on a log directing its gaze into a long pool before continuing to hunt amongst the reeds along the water’s edge. 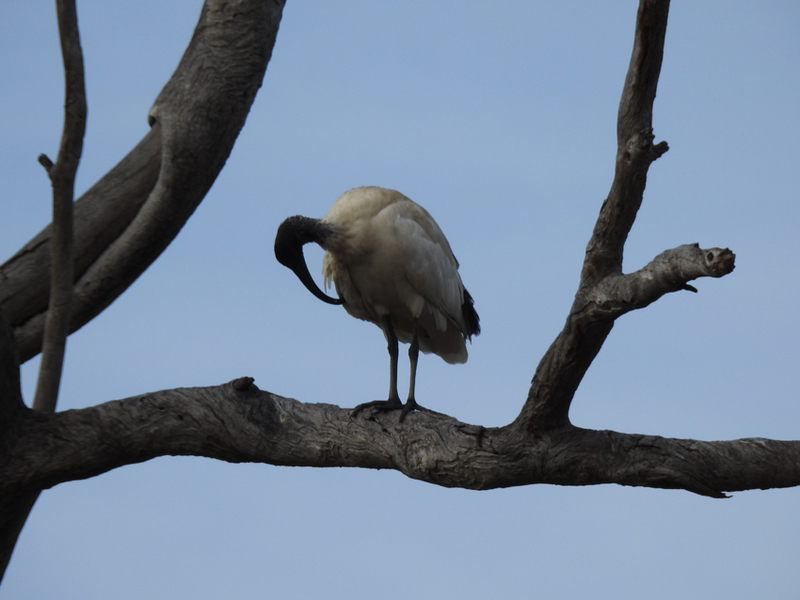 On my walk back I see the same bird with its wings outstretched drying them between forays into the creek to hunt. Cormorants do not have waterproofing oils to protect their plumage like some waterbirds and therefore must continually dry out their feathers. Near one of the fords there are some massive river red gums shading the creek bed and I can hear the raucous screech of lorikeets in the highest branches. 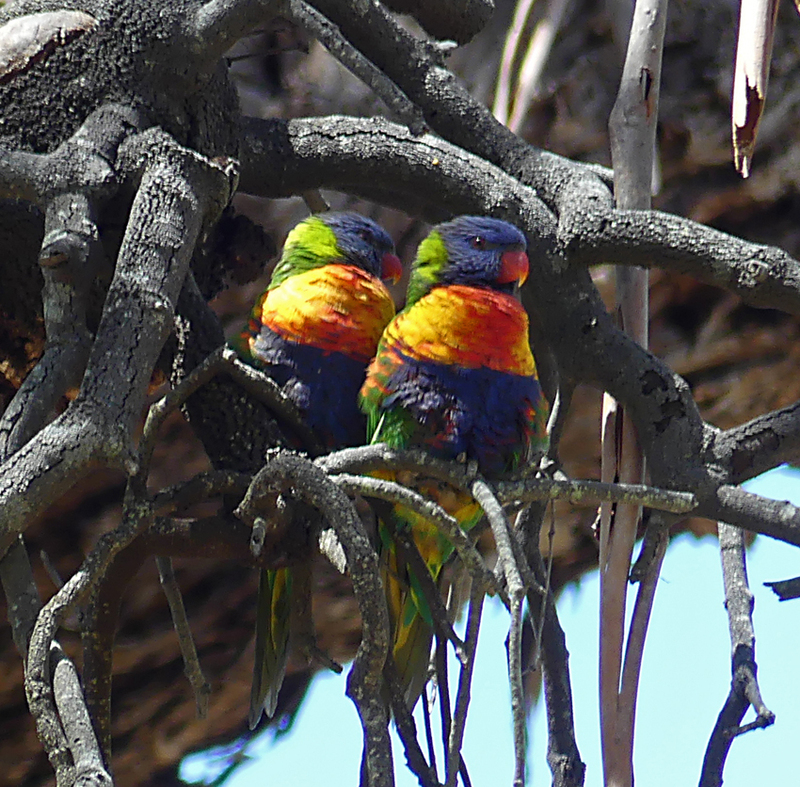 A quick look through the telephoto lens helps me to identify them as musk lorikeets. These social little birds seem to have found something to feed on in the canopy. There are no blossoms on the trees so I can only assume that it is some form of insect life. 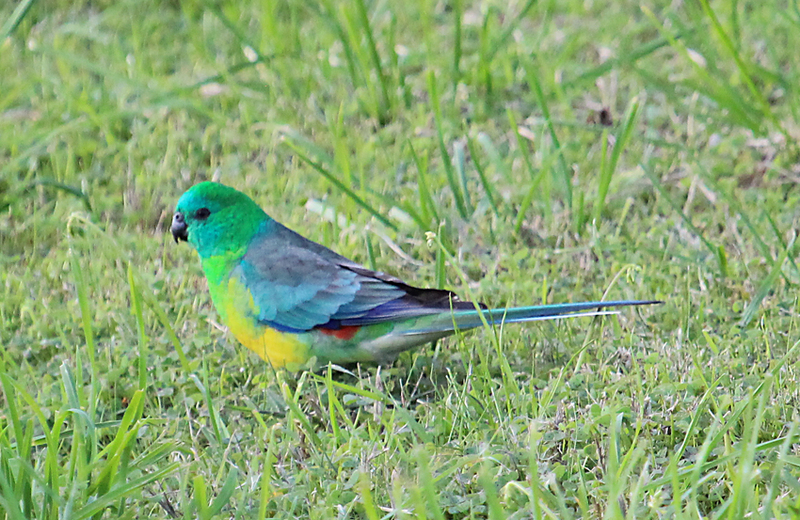 My walk has been most rewarding as I have encountered a wide range of animals from aquatic mammals and predatory insects through to brightly coloured parrots in the treetops. Only the bakery to go and I can mark today down as more than a little successful. This is an easy walk which is quite suitable for families and seniors with food outlets, parking and other facilities nearby. 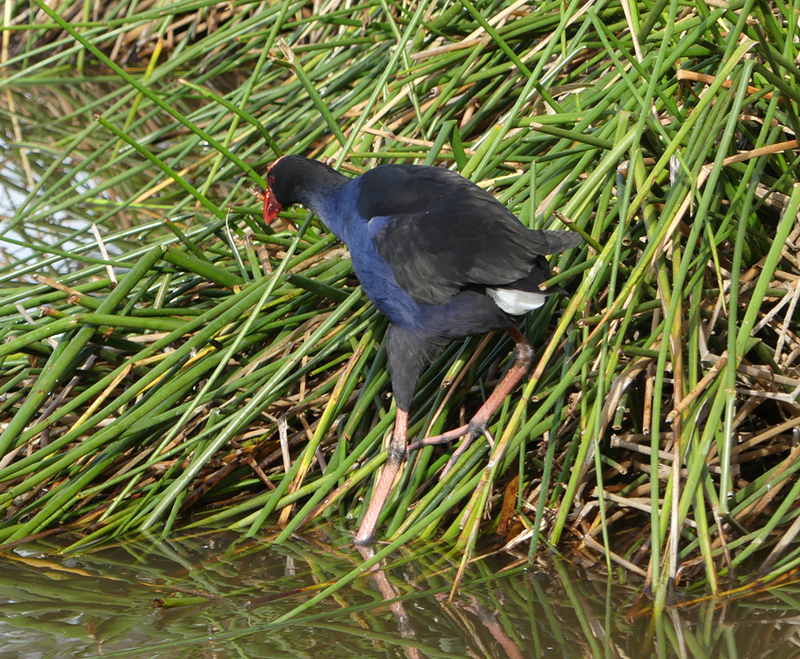 From the edge of a little bridge that divides the creek from the lake I can see a purple swamp hen using its elongated feet to delicately traverse a clump of reeds. 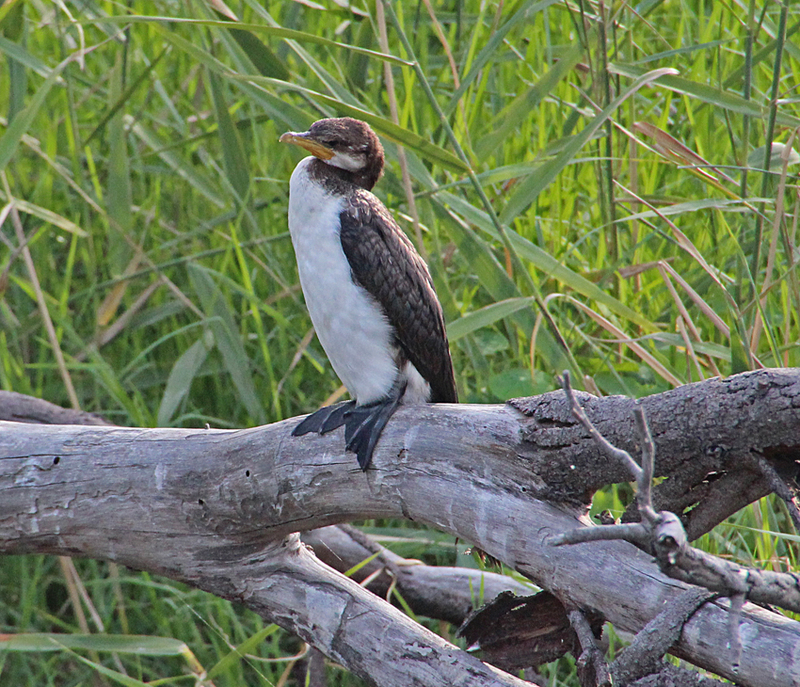 These beautiful water birds also use the reeds as food and to construct their nests along the water’s edge. Crossing the bridge, I walk along a short gravel pathway to a viewing platform that overlooks Druminoor Lake, a small dammed area of Dry Creek just off Golden Grove Road. 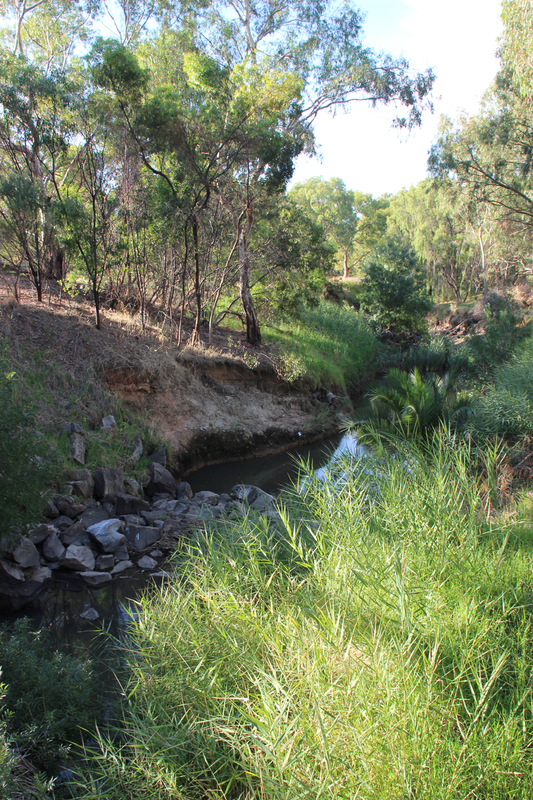 It is an integral part of the Tea Tree Gully water management program. Their goal is to use water that runs into the creek in an environmentally sustainable fashion for the benefit of the local community. 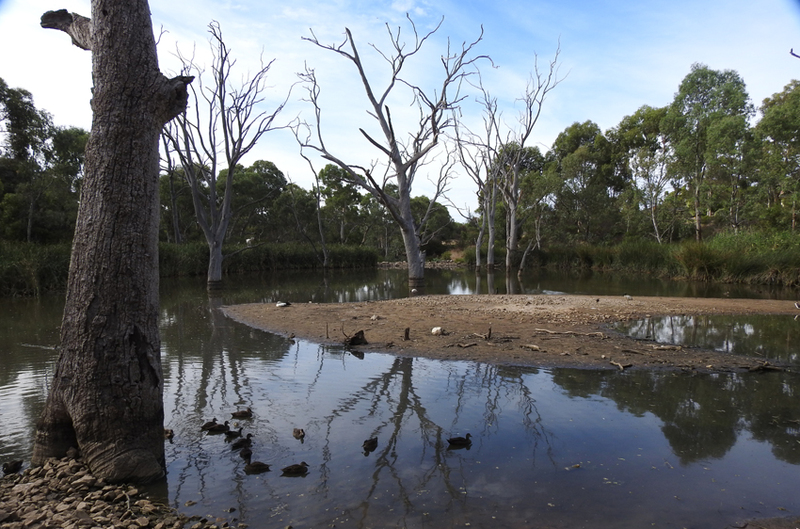 A centuries old red gum dominates the upstream end of the lake and I can hear birds screeching high in the branches. Using the extreme setting on my long lens I scan the tree tops and to my surprise there are both rainbow lorikeets and sulphur crested cockatoos in the foliage. 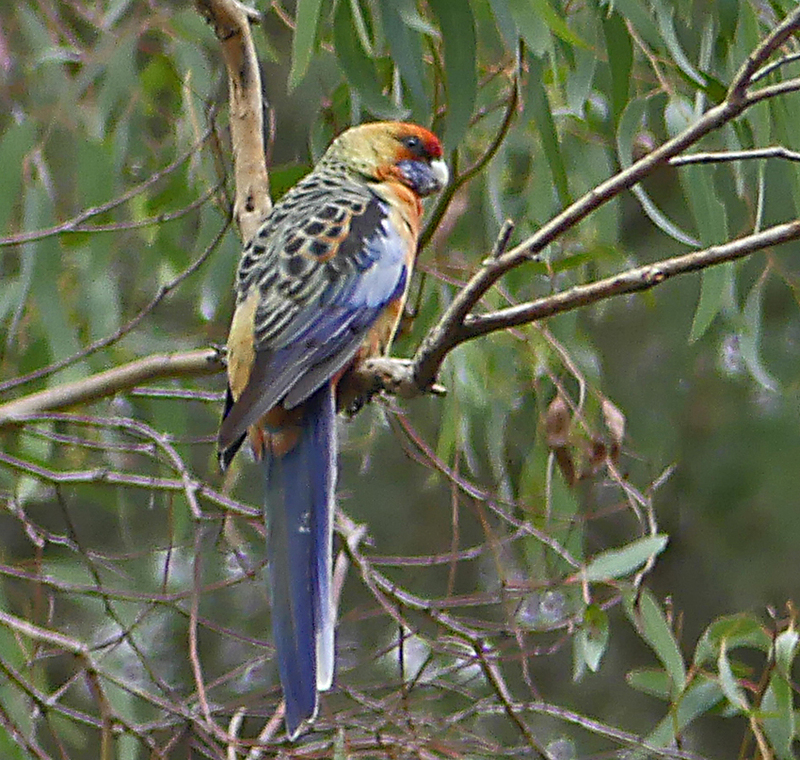 Both parrot species noisy but together they produce a considerable din. Below a rock wall dam on the downstream perimeter of the lake, Dry Creek meanders through a steep gully overshadowed by more eucalypts. 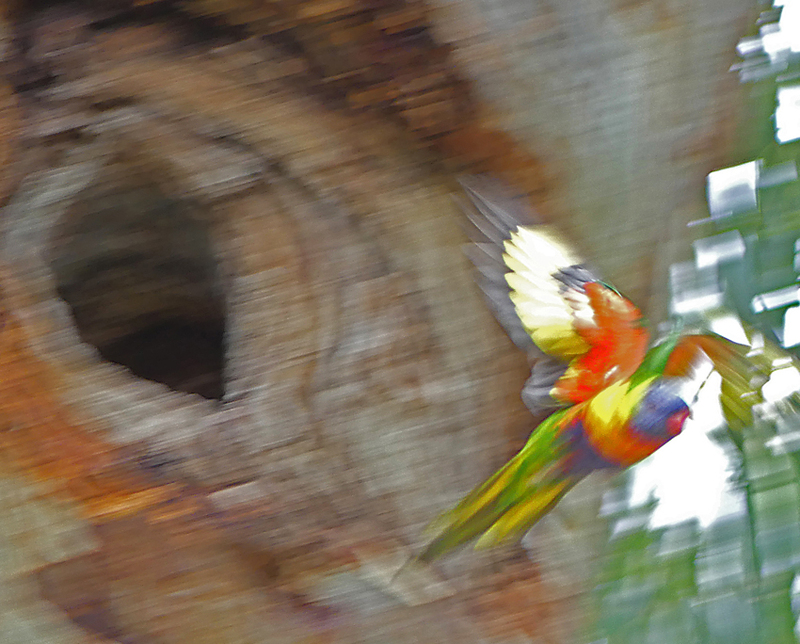 In a gnarled old tree a pair of lorikeets has chosen to nest in a knot hole half way up the trunk. I approach carefully but the birds takes flight and resultant blurred image of feathers in flight is rather satisfying. The grey trunks of long dead trees tower above the little lake. 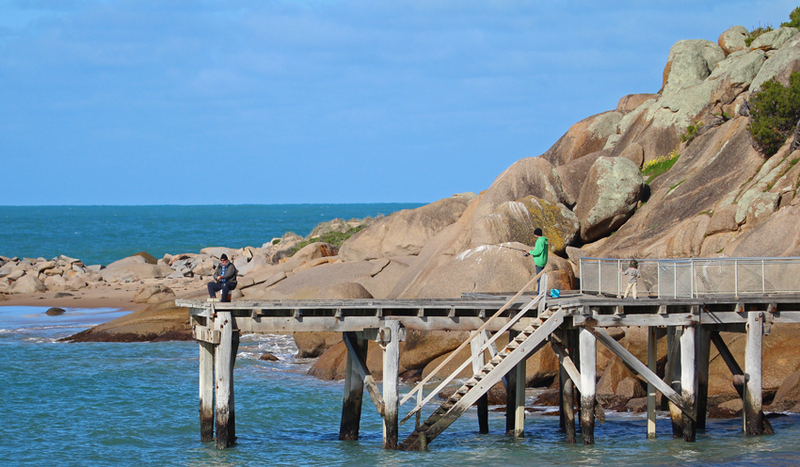 They are perfect nesting sites and vantage points for a range of bird life. Cormorants and ibises often perch on the limbs and parrots make use of the holes where branches were once attached. Occasionally a bird of prey will use them as a vantage point to wreak havoc amongst the smaller animals that gather around the lake which is a permanent source of water even in the drier months. 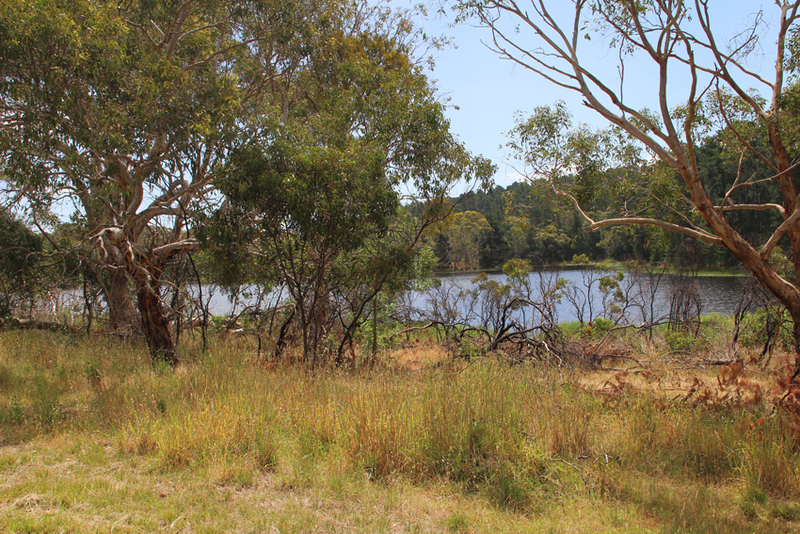 There are several lakes and ponds along the track that stretches from Modbury through to Wynne Vale and all of them harbour quite a varied array of wildlife making this trail through Tea Tree Gully one of my favourite wildlife walks. Take a look and send me a message if you enjoy it. This is an easy walk which is quite suitable for families and seniors with concrete pathways along Dry Creek and a viewing platform at the lake. The scrub is quite thick along the river bank and I can hear the movements of small animals against the background sigh of the wind through the towering eucalypts. Lizards, perhaps small mammals but more likely wrens, finches and other little birds are foraging in the undergrowth. 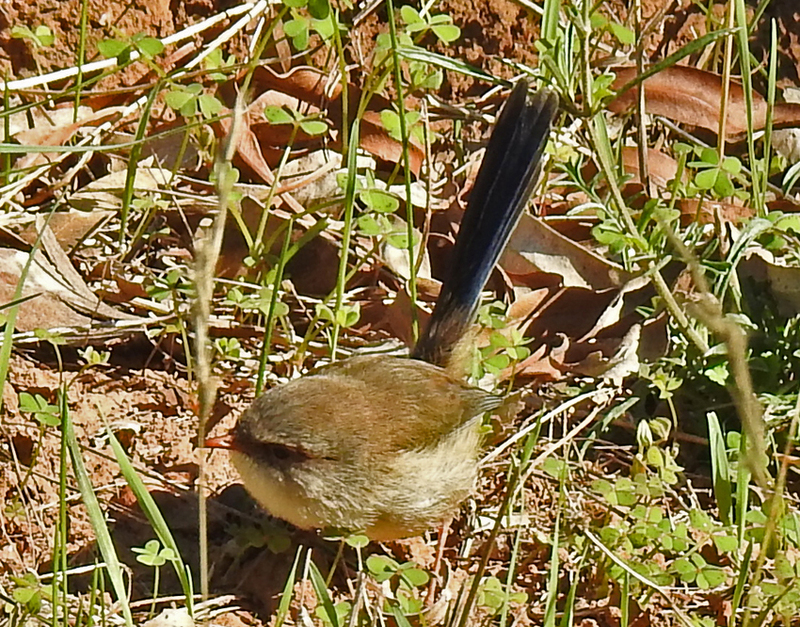 Finally, a diminutive female blue wren emerges from the cover to search for seeds in a clearing. The opportunity to take a quick shot is momentary. 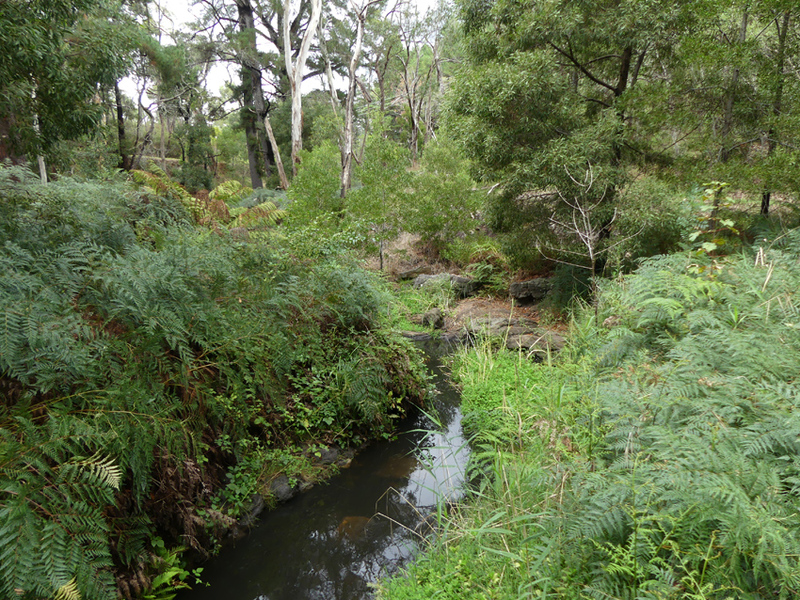 Brownhill Creek is one of several waterways that drain the south eastern aspect of the Mount Lofty Ranges. It has shallow pools that retain water in the hotter months and flows freely in the cooler ones. There is thick undergrowth along the creek bed that ranges into open scrubland on the surrounding hillsides. A paved road follows the creek eastward with numerous sidings that enable access to the water along narrow dirt tracks. I stop in one of the lay-bys where there is a significant clearing surrounded by several eucalypts. Using the long lens I scan the forks in the canopy for koalas. 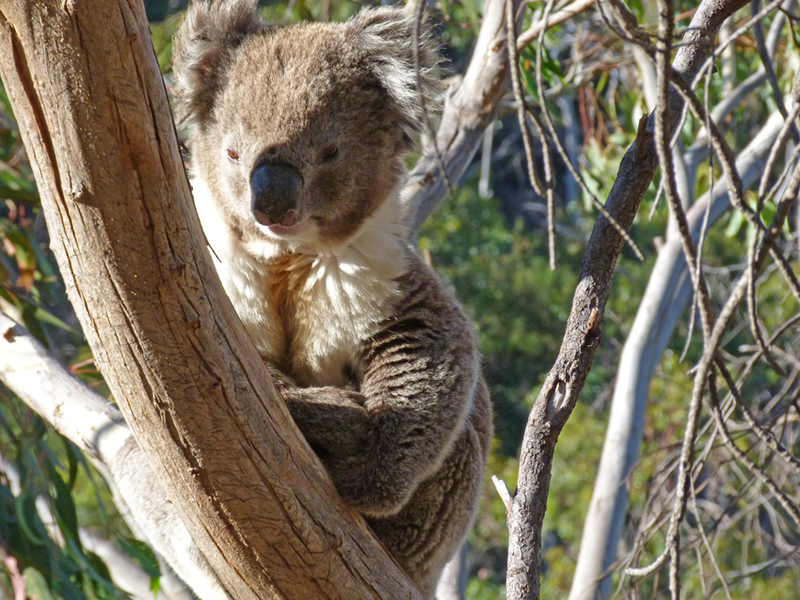 The bear-like marsupials eat a range of gum leaves and these trees look to be one of the preferred species. Luck is with me as I spot a large male using its double-thumbed prehensile grip to move along a branch. Further along the road a small bridge crosses the creek and there is a large stand of eucalyptus and evergreen trees spreading both limbs and branches across the creek. 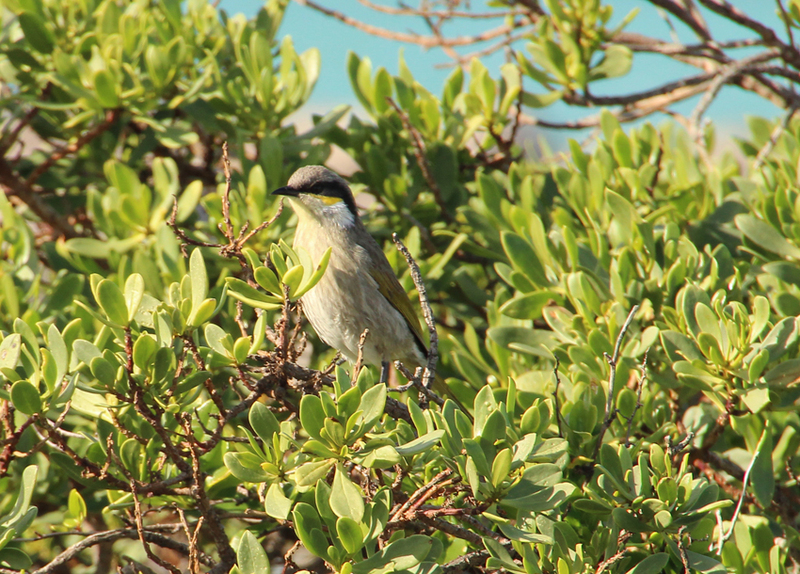 A wide variety of birds are feeding on blossoms, fruit and insects. 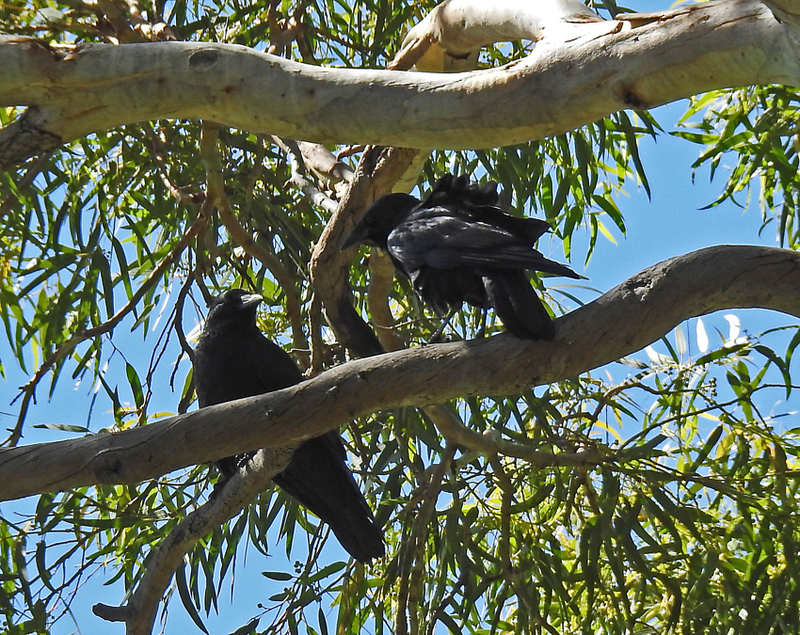 I manage to photograph silver-eyes, Adelaide rosellas and a pair of raucous ravens. 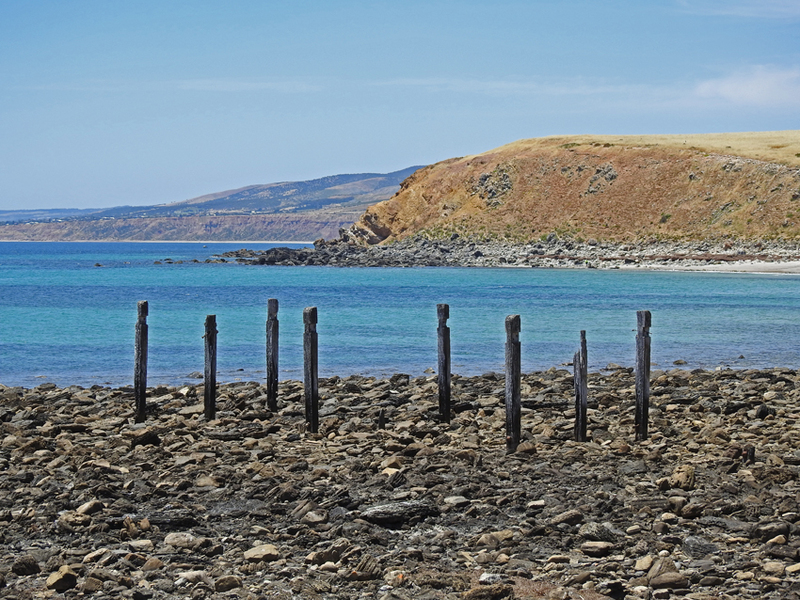 My drive along Brownhill creek has been quite exceptional and I decide to make one last foray down to the creek near the caravan park. 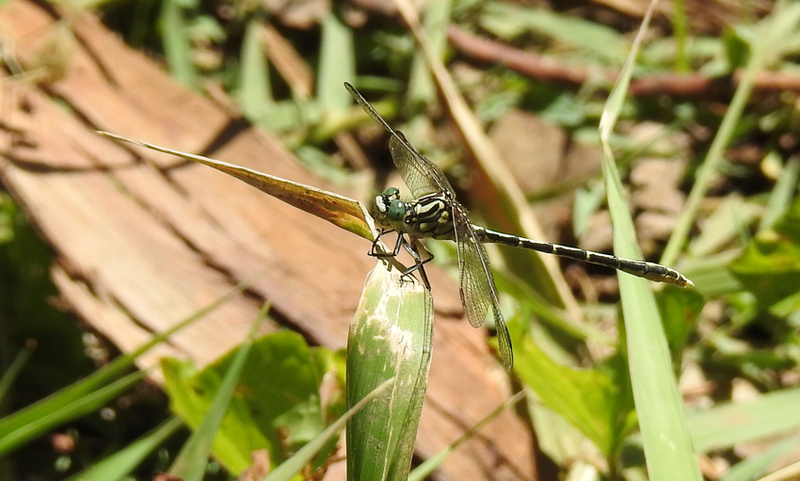 I can hear a kookaburra calling and some flowering plants along the creek seem to be attracting both butterflies and dragonflies. 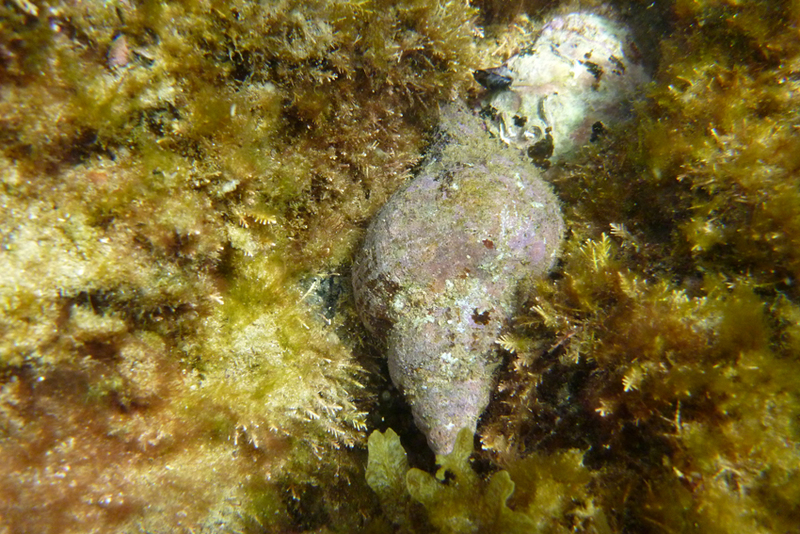 With a little luck I might just capture a few more images to complete my creek-side safari. This is an easy drive but the tracks along the creek are more difficult. The road from Aldgate to the reserve winds through rural and bush country with charming homes and patches of scrub on either side. 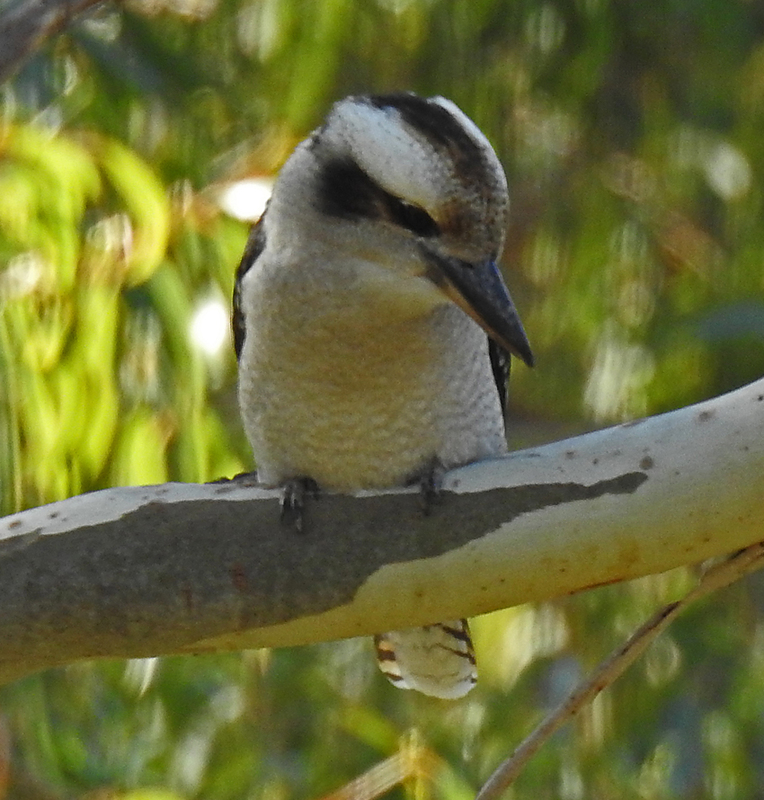 I pull off the road near an old bridge that crosses Aldgate Creek and walk along the well marked trail listening to the sounds of birds high in the gum trees. 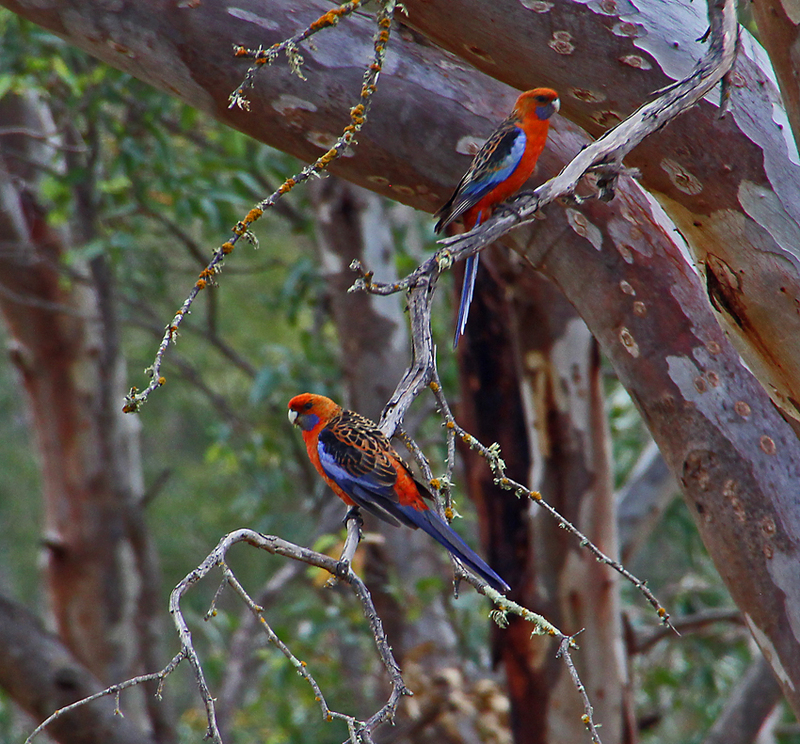 Eventually I catch sight of a pair of eastern rosellas as they fly between the topmost branches. Aldgate is one of the principal towns in the Adelaide Hills. It has a village atmosphere with fine eateries and small, locally owned shops. 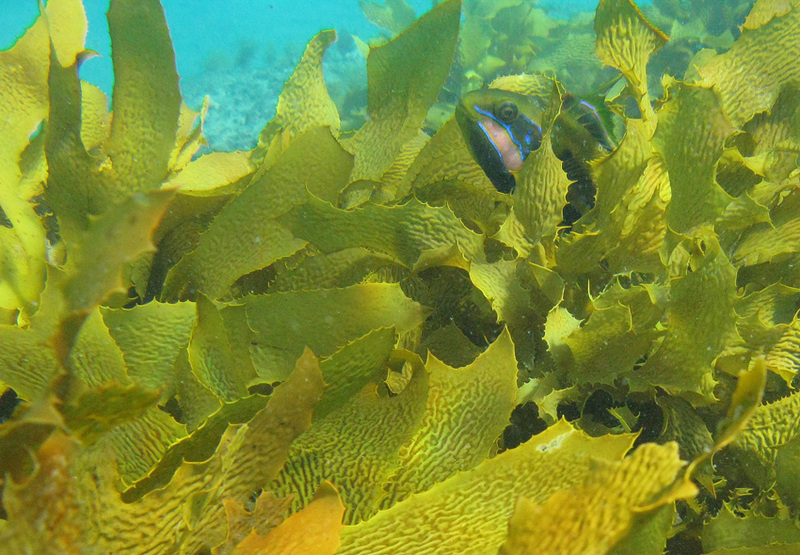 A fascinating 6 km nature walk runs between Aldgate and its neighbour Mylor. 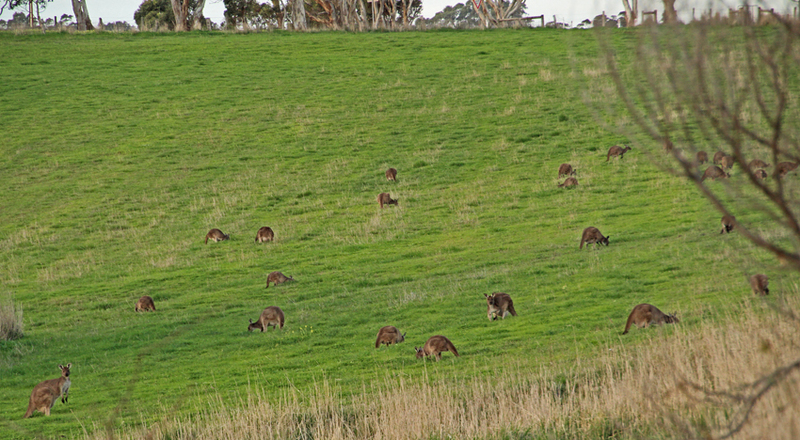 The route passes through the Aldgate Valley where southern brown bandicoots have been reintroduced to their native habitat (little marsupials that superficially resemble rats). From the road bridge I take the path alongside the creek where I find a small footbridge. 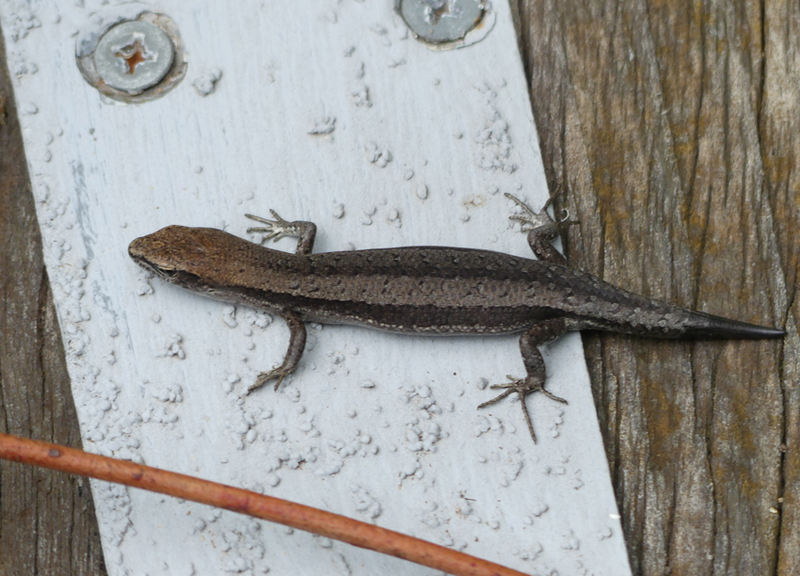 Several eastern water skinks have taken up residence amongst the wooden slats and one little fellow, who seems to have regrown the end of his tail, poses nicely for a portrait. 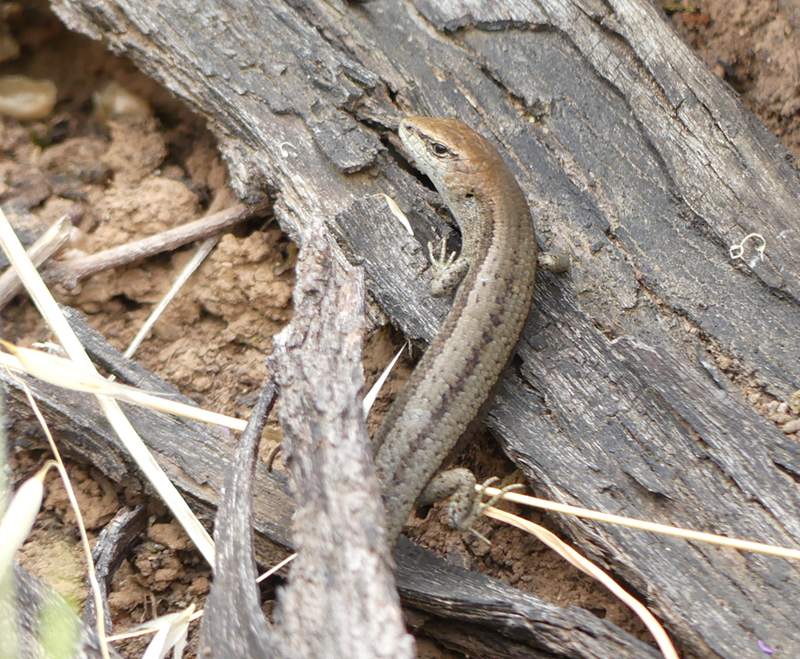 Most of these smaller skinks drop their tail if grabbed by a predator. This serves a dual purpose as the tail continues to wiggle after being detached, acting as a decoy. Today I have decided to simply explore the area around the reserve and search out some of the animals that inhabit it. A bandicoot would be nice but as they are timid and mainly nocturnal and I am not holding out much hope. On the right hand side of the bridge there is a small orchard and some benches. 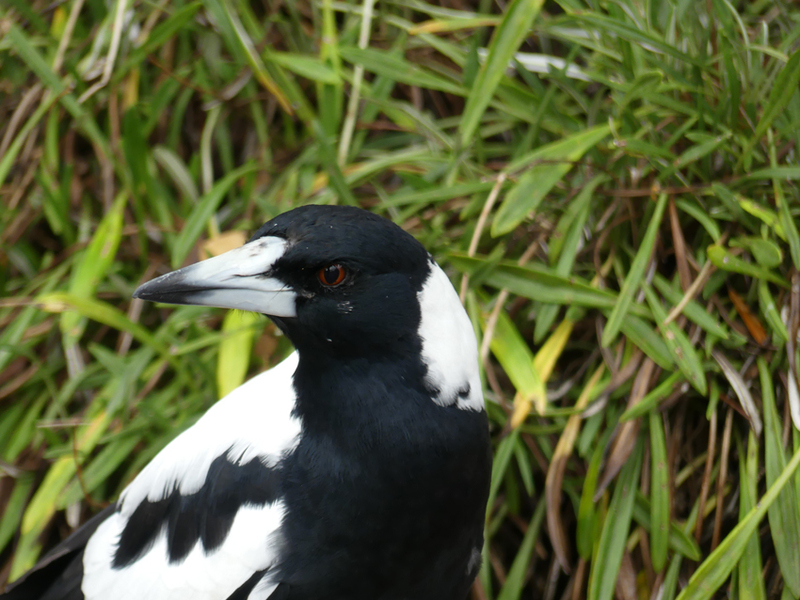 Several large magpies are strutting around the area and one sits on the bench and glares at me as I walk through the trees. I spend a little more time sitting by the creek watching finches and wrens darting between bushes but the day is getting chilly and the clouds are rolling in. 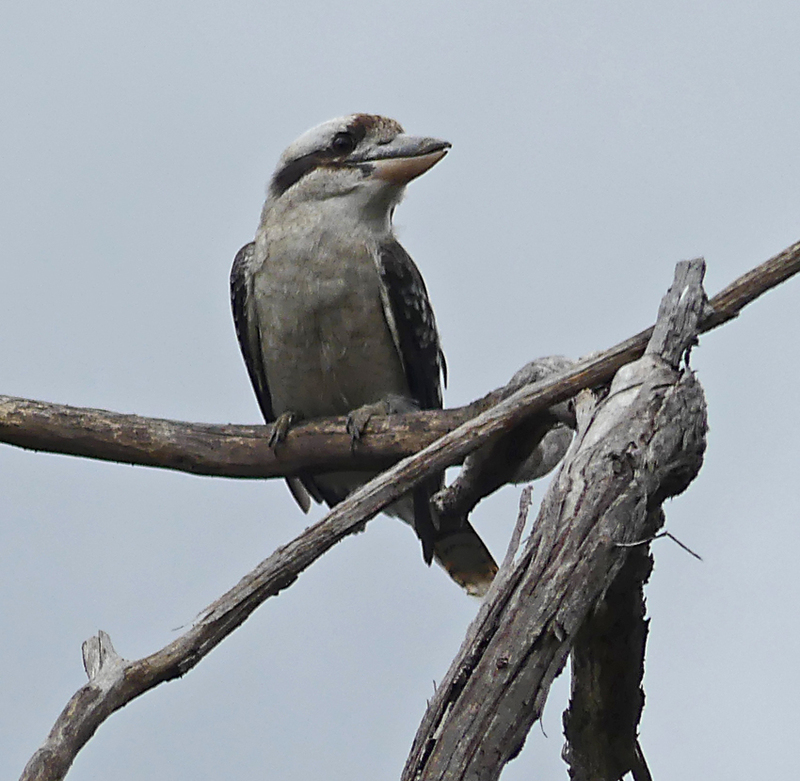 As I step into the car for the drive back home a solitary kookaburra chortles in the trees nearby. 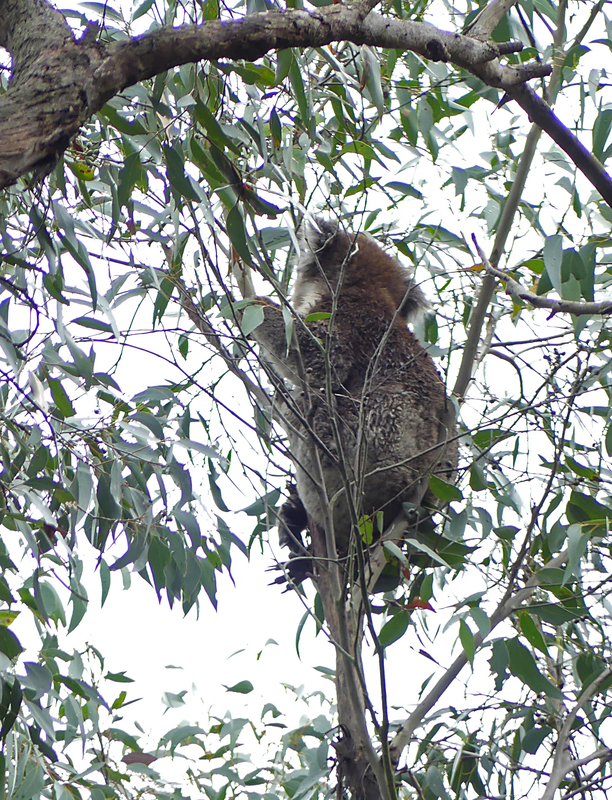 Something seems to have disturbed the bird and I take a closer look and find a koala feeding in an adjacent tree. Does my bum look big up this? I make one last stop back in Aldgate to drop in at ‘FRED’ for a late lunch. 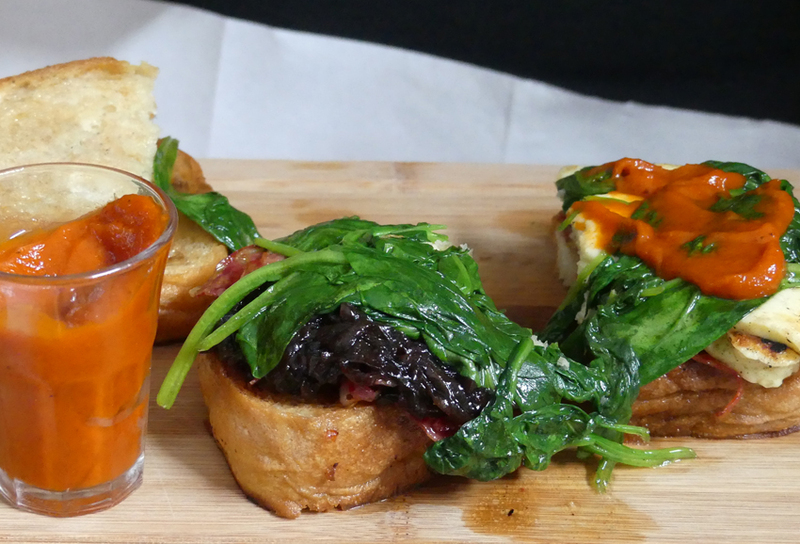 So much to choose from; but the Sicilian ciabatta with wilted greens, haloumi, home-made chutney and caramelised onion cannot be resisted. Take a look over some of the earlier work and find somewhere to take a walk and enjoy our wonderful wildlife.